Milliwanga Sandy is one of the translators of the Indigenous Kreole Bible, has a unique focus on language and cultural and also has an Aboriginal youth centre in the remote community of Beswick, Australia. 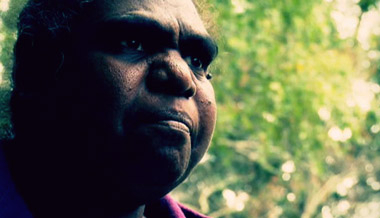 Milliwanga "Milli" Sandy is a charasmatic Elder from the Beswick community near Katherine in the Northern Territory of Australia, talks about her strategy for love. Milliwanga "Milli" Sandy talks about the impact of the Psalms while she was translating them for her Creole community.